What is Individual obstacle (IO) ? 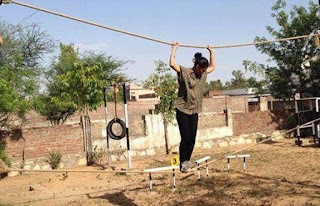 Individual obstacles consists of set of 10 obstacles which you have to do in a time span of 3 minutes. These obstacles are numbered from 1 to 10 randomly in the ground.Each number mentioned on the obstacle signifies its marks which you will get after completing the obstacle successfully. 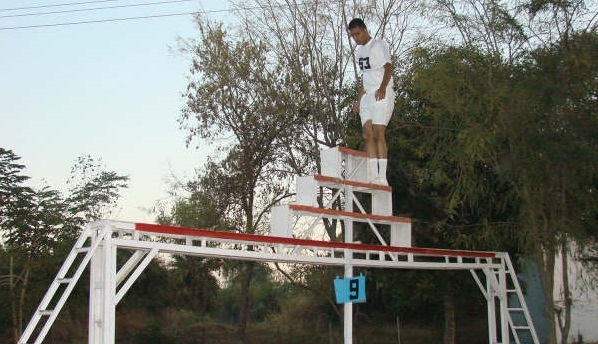 In this individual obstacles task all the candidates will do the obstacles one by one according to their chest number. Individual obstacle consists of set of 10 obstacles which you have to do in a time span of 3 minutes. Each obstacle has a number mentioned next to it which is indicates the point which will you get on successful completion of that obstacle. 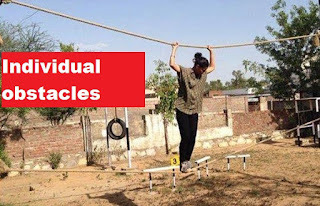 These obstacle are not serially arranged, you can start from any obstacle you wanted to do. This is only the task where repetition is allowed. However to repeat any obstacle for the second time you must do all the 10 obstacles once. If you repeat any obstacle then you will get that many extra point as indicated on the optical. If you get stuck on any obstacle then you can leave it and go to the next obstacle. You can come back and do it later. If you do all 10 obstacles then you will get 100% points (55 marks). GTO will take you around and show you all the obstacles. He will explain each and every obstacles to you. GTO has a watch and whistle with him. He will start from first candidate who will get up, run and stand behind any obstacle from where he wanted to start. To start him GTO will blow the whistle once. After 2.5 minutes GTO will shout "next" which means second candidate get up and stand behind any obstacle from where he wanted to start. After 3 minutes GTO will blow the whistle Again which means time for the first candidate is up and 4 done second candidate has started. This way 1 by 1 the GTO will put all the candidates through the task. Make a good plan to do the obstacle. Plan should be Such that minimum time is spent in running and maximum in doing obstacles. Run fast between obstacles and never walk as you are bound by time of 3 minutes. Don't run fast on over the obstacles, it can disturb your balance. Before going to SSB interview you must practiced 2-3kms run and some exercises to keep you fit. Simplest obstacle. Just run over it and jump on ground. Zig Zag shaped obstacle, you've to walk over it balancing your body. Take a good run and jump over the screen. Don't touch the screen anyway. 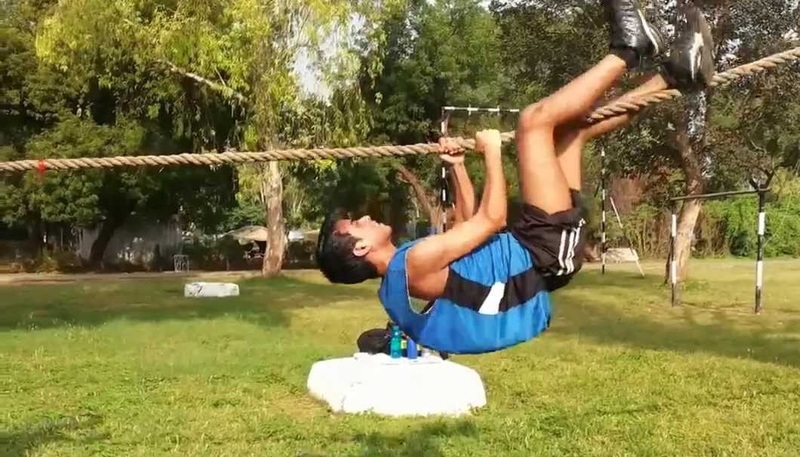 2 parallel ropes are there at height. You've to keep your legs on lower rope and hold the upper rope by hand and walk sideways. 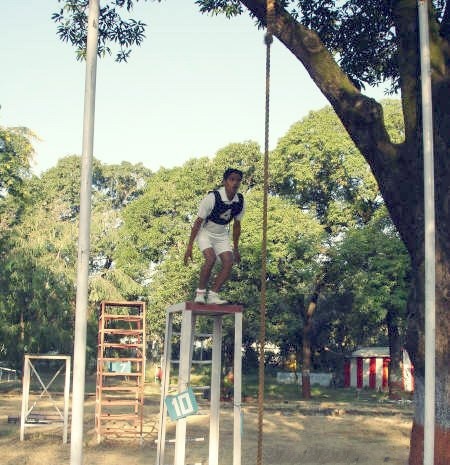 Climb on a raised platform, grab the rope and swing and jump on ground. Climb on higher platform, jump on lower platform then jump on ground. Climb over it, balance yourself and get down from the other side. Climb over raised platform then jump and grab the rope and come down. Don't let your hands slide otherwise you'll get painful injuries.